Buying a home is an exciting time, but deciding what kind of home to invest in can be confusing. After all, there are several things considerations when buying a condo or a single-family home to keep in mind. Because they offer owners the ultimate in convenience in many aspects, condo ownership can certainly have its privileges. However, one should carefully consider these pros and cons of buying a condo before making a final decision. 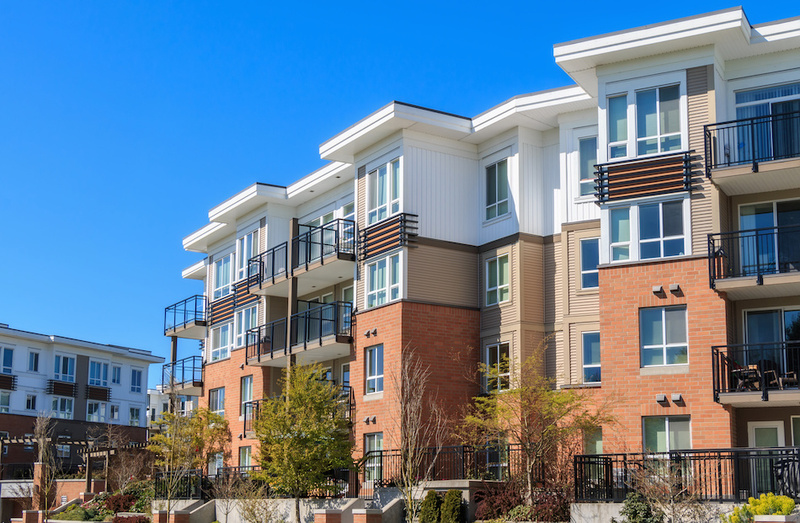 Condominium Maintenance: Convenient or Cumbersome? With exception to incidents caused by neighbors or poor community maintenance, interior repairs are generally the full responsibility of condo owners, just like with single-family homes. However, maintaining any common areas outside of your property are typically handled by outside contractors hired by those operating the property's day-to-day affairs. Condominiums typically run under the guidance of some type of community homeowner association (HOA) that collects monthly dues and implements the community's covenants and restrictions (CC&Rs). Maintenance Pros: The HOA or a management company hires professionals to handle all of the exterior property's landscaping, painting and general repairs in addition to the cleaning and upkeep of common areas such as pools and clubhouses. Maintenance Cons: There are limits to a condo owner's creative freedom concerning their home's exterior appearance. Want to paint those shutters green, install new windows or plant a tree or some flowers? It's likely going to require the approval of the HOA, and changes made without permission can result in hefty fines and legal action by the HOA. How Great is the Value of Privacy? Those who've lived in an apartment have had a taste of what most condo communities are like. There's lots of neighbors milling about, multiple pets, shared walls, and shared common spaces. Along with all the friendliness and companionship of these living arrangements, some people may prefer more privacy for a number of reasons. Privacy Pros: Some condo communities feature incredible noise-reducing insulation and wall dividers, and there are occasionally units that are freestanding or single storied, which minimizes noise. Furthermore, some enjoy having an array of neighbors to visit with, making condos an attractive choice. Privacy Cons: The obvious con is that there are all those people, some milling about just feet away behind the wall, and neighbors cannot be chosen in condo communities. However, they may be signs of noisy neighbor situations if there are clearly pets and children living next door to potential units. Eyes wide open when house-hunting can save privacy lovers from making the wrong choice. Depending on where one lives, the cost of a condo can be comparable with a single-family dwelling or substantially less. However, in certain cities like New York, a condominium can be a hot commodity that costs far more initially. The pros and cons of investing in a condo may ultimately reside in the long-term costs, as both owners are responsible for interior upkeep. Pros of Condo Investments: As mentioned, there's no need for landscaping supplies or outdoor renovation materials in a condo, whether it's in Old Northeast or elsewhere. The cost of such supplies or those for siding or roofing replacements and periodic painting are covered through HOA dues. Those looking to save money every month will love condos. Cons of Condos Financially: Condos may be a bit harder to sell in certain economies and cities than freestanding homes. Second, some HOA's may be underfunded due to the community's size or non-paying owners, which can spell trouble down the line if the board instills special assessment fees for needed neighborhood maintenance. The good news is, there are insurance policies that can assist for such surprises. Go in fully prepared to land the condo of your dreams with the backing of a local real estate professional today.